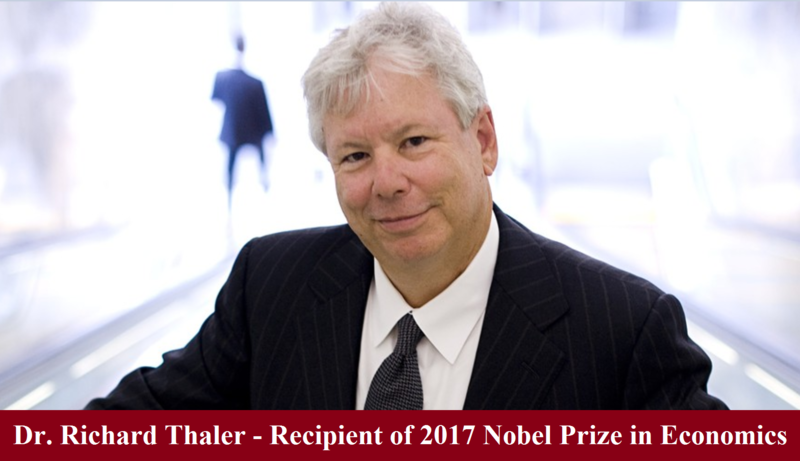 The 2017 Nobel Prize in Economics was awarded to Dr. Richard Thaler, a professor at the University of Chicago, for his contributions in Behavioral Finance. 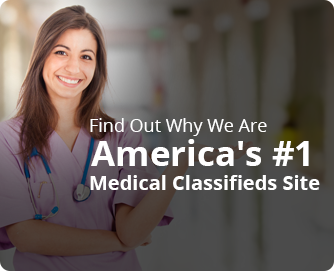 This is not something that physicians would normally pay attention to, but they should. Why? 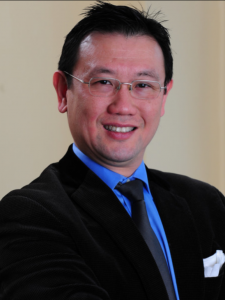 Because he specializes in understanding the mistakes people make in decision making—especially financial decision making. Wouldn’t you all want to know how to avoid mistakes when you handle your personal finances? Since his research is so vast and profound, I won’t be able to cover all of it in one article (for more details you can refer to his popular book, Nudge). However, let me just talk about a point he makes that is extremely useful and practical to building personal wealth. Professor Thaler found that we humans have an extreme bias towards the status quo, meaning that, for better or for worse, we want to stay where we are. We don’t easily make changes. One example is illustrated by the chart below that shows organ donation participation rates in European countries. Note that Denmark has a 4.25% participation rate, while Sweden has a rate of 85.9%. The only difference is all the countries with low organ donor rates have an opt-in policy. That is, you are by default not an organ donor: you need to check a box to opt in. 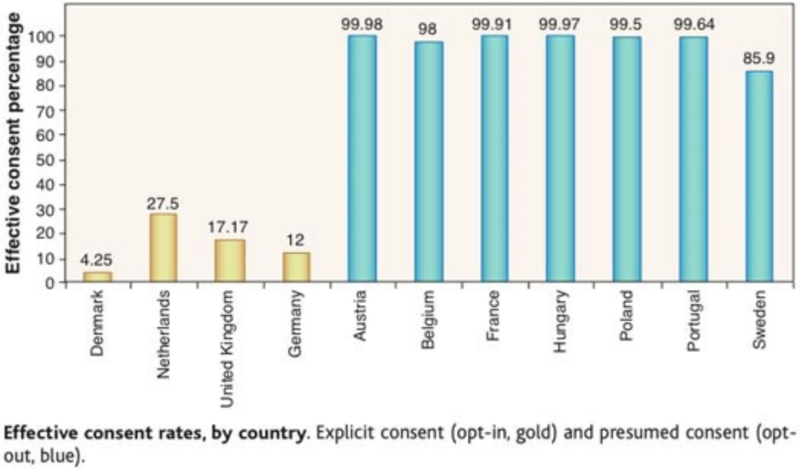 All of the countries with high rates have an opt-out policy. That is, you are by default an organ donor: you need to check a box to opt out. Just this tiny difference on where to check the box creates drastically different results! I use the same concept in my own saving and investing. I set up an automatic wealth builder whereby $5000 is automatically withdrawn from my bank account to my brokerage account to be invested every month. Since I started doing this seven years ago, my personal wealth has been building up quite rapidly. I have implemented the same system for many of my clients, with fabulous results. Think about the alternative: our default behavior is to spend our money and spend we will, blissfully ignoring our retirement needs. It’s not that we don’t know the right thing to do. It’s just that if it’s not automatic or by default, it’s too hard to do it. By making saving and investment a default (“set and forget it”), we can turn our status quo bias on its head, and make it work in our benefit. Don’t be like the typical physician, who Tom Stanley, author of “The Millionaire Next Door” says is notoriously bad at building wealth. 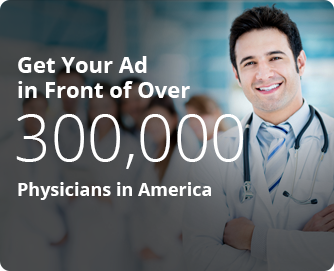 Part of all high yield financial strategies for physicians should include automation. This will allow you to focus your energy on doing what you love while passively building wealth. This entry was posted in Advice for Doctors, Financial Advice for Physicians and tagged automation and financial planning, behavior economics and financial planning, behavioral economics and wealth management, Financial Advice for Doctors, Financial Advice for Physicians, financial help for doctors, Financial Planning for Doctors, Financial Planning for Physicians, how physicians can build wealth, how physicians can create valuable assets, how physicians can get rich, richard thaler and physicians, strategies for building wealth for physicians, top financial advisors for physicians, wealth management for doctors, Wealth Management for Physicians by Drpost. Bookmark the permalink.